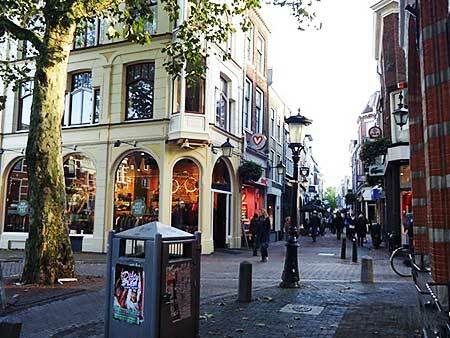 With more than 318,000 inhabitants, Utrecht is the Netherlands' fourth city. 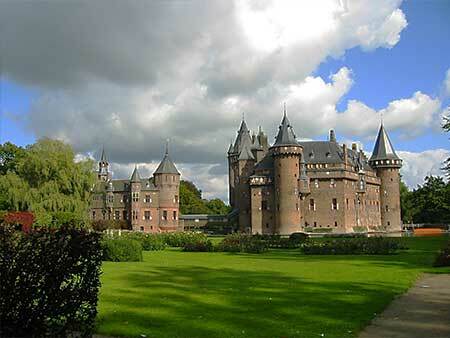 Utrecht is the capital of the province of the same name which has 1.2 million inhabitants. 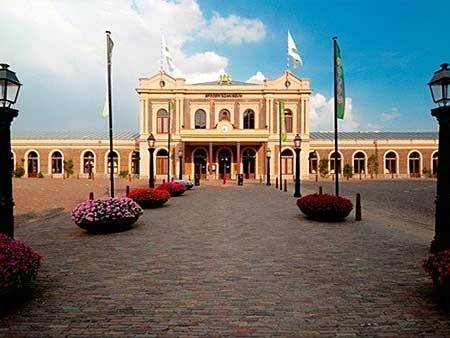 The city was built on Roman foundations but now stands at the very heart of the Netherlands, where the country's road and rail networks intersect. 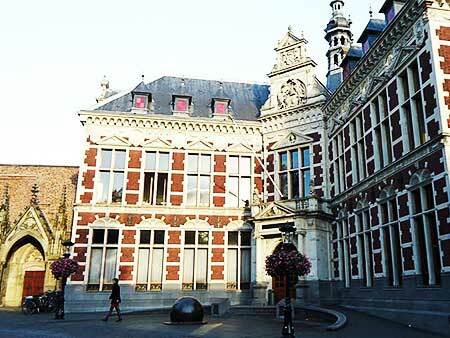 The city's central location it is at the heart of the Netherlands' business and leisure communities. Utrecht has a reputation as an independent-minded and lively city, which is gaining more and more recognition as a centre of knowledge and culture, both nationally and internationally. Utrecht is host to Utrecht University, the largest university of the Netherlands, as well as several other institutes for higher education. Due to its central position within the country, it is an important transport hub for both rail and road transport. 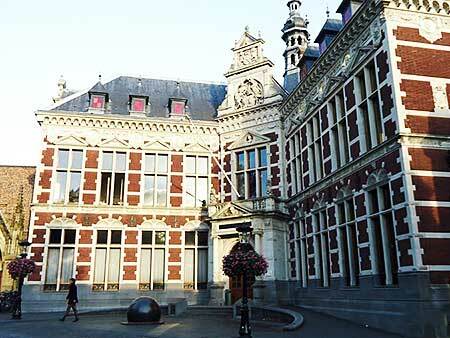 It has the second highest number of cultural events in the Netherlands, after Amsterdam. Utrecht is well connected to the rest of the Netherlands and has a well-developed public transportation. 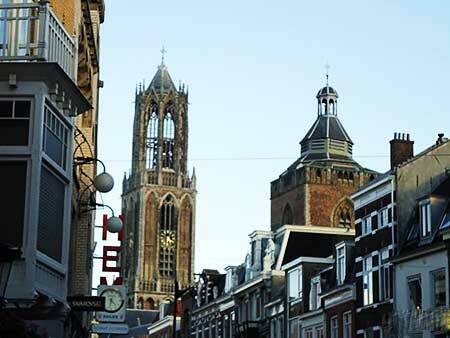 Utrecht's landmark is the Dom Tower (112m), belonging to the former cathedral (Dom Church). The second highest building of the city, the Rabobank-tower, completed in 2010 and standing 105 m tall. Another landmark is the old centre and the canal structure in the inner city. The Oudegracht is a curved canal, partly following an old arm of the Rhine. It is lined with the unique wharf-basement structures that create a two-level street along the canals. The inner city has largely retained its Medieval structure. 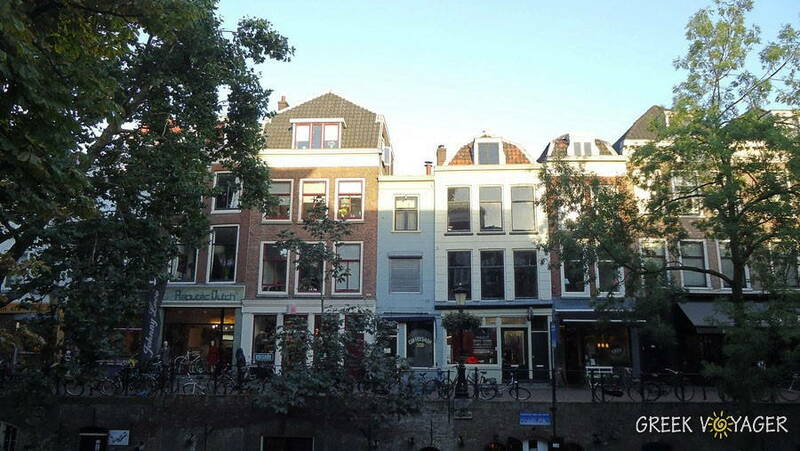 Because of the role of Utrecht as a fortified city, which restricted construction outside the walls, until the 19th century the city has remained very compact. Surrounding the medieval core there is a ring of late 19th- and early 20th-century neighborhoods, with the newer ones positioned farther out. The eastern part of Utrecht remains fairly open. The Dutch Water Line, moved east of the city. 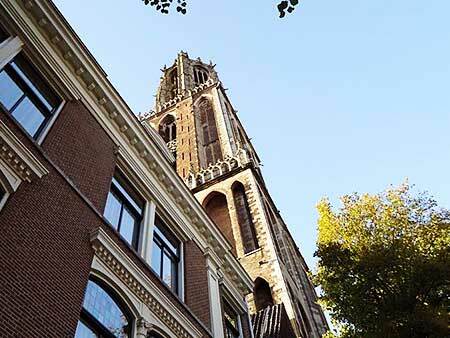 Due to the past importance of Utrecht as a religious centre, several monumental churches have survived. The Dom Church, St Peter's and St John's churches, the gothic churches of St James and St Nicholas, and the so-called Buurkerk, now converted into a museum for automatically playing musical instruments. 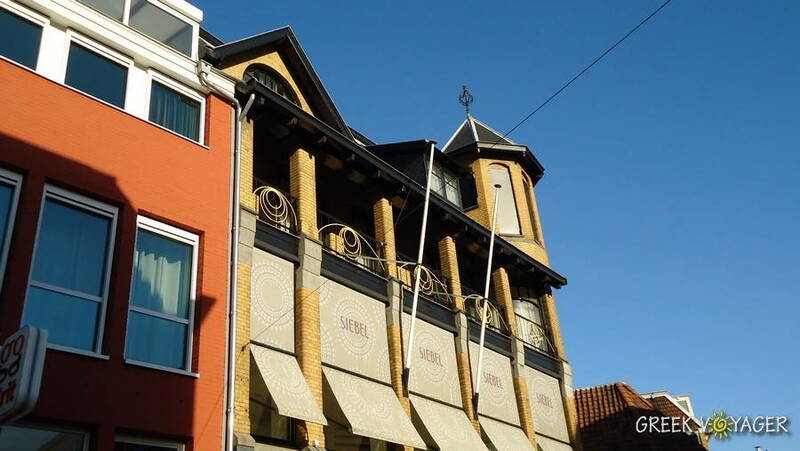 There is some evidence of earlier inhabitation in the region of Utrecht, dating back to the Stone Age. The founding date of the city is usually related to the construction of a Roman fortification (castellum), probably built in around 50 CE. These fortresses were designed to house a cohort of Roman soldiers. Such fortresses were built after the Roman emperor Claudius decided the empire should not expand further north. In Roman times, the name of the Utrecht fortress was simply Traiectum denoting its location at a possibility to cross the Rhine. Traiectum became Dutch Trecht. The U comes from Old Dutch "uut" meaning downriver. It was added to distinguish from the other Tricht, Maas-tricht. Around the year 200 AD, the wooden walls of the fortification were replaced by sturdier tuff stone walls, remnants of which are still to be found below the buildings around Dom Square. From the middle of the 3rd century Germanic tribes regularly invaded the Roman territories. Around 275 AD the Romans could no longer maintain the northern border and Utrecht was abandoned. Little is known about the next period 270–650. 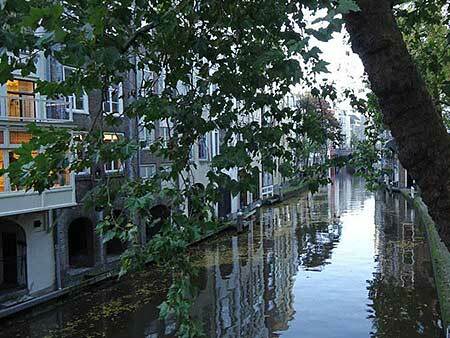 Utrecht is first spoken of again centuries after the Romans left. Under the influence of the growing realms of the Franks a church was built in the 7th century within the walls of the Roman fortress during Dagobert I reign. In ongoing border conflicts with the Frisians the church was however destroyed. By the mid-7th century, English and Irish missionaries set out to convert the Frisians. The pope appointed their leader, Willibrordus, bishop of the Frisians, which is usually considered to be the beginning of the Bishopric of Utrecht. In 723, the Frankish leader Charles Martel bestowed the fortress in Utrecht and the surrounding lands as the base of bishops. The first-recorded European contact with the island was on April 5 (Easter Sunday), 1722, when Dutch navigator Jacob Roggeveen visited the island for a week and estimated a population of 2,000 to 3,000 inhabitants. The number may have been greater, since some may have been frightened into hiding by a misunderstanding that led Roggeveen's men to fire on the natives, killing more than a dozen and wounding several more. The next foreign visitors (on November 15, 1770) were two Spanish ships, San Lorenzo and Santa Rosalia. From then on Utrecht became one of the most influential seats of power for the Roman Catholic Church in the Netherlands. When the Frankish rulers established the system of feudalism, the Bishops of Utrecht came to exercise worldly power as prince-bishops. Several churches and monasteries were built inside, or close to, the city of Utrecht. The most dominant of these was the Cathedral of Saint Martin, inside the old Roman fortress. The construction of the present Gothic building was begun in 1254 after an earlier romanesque construction had been badly damaged by fire. The location on the banks of the river Rhine allowed Utrecht to become an important trade centre in the Northern Netherlands. 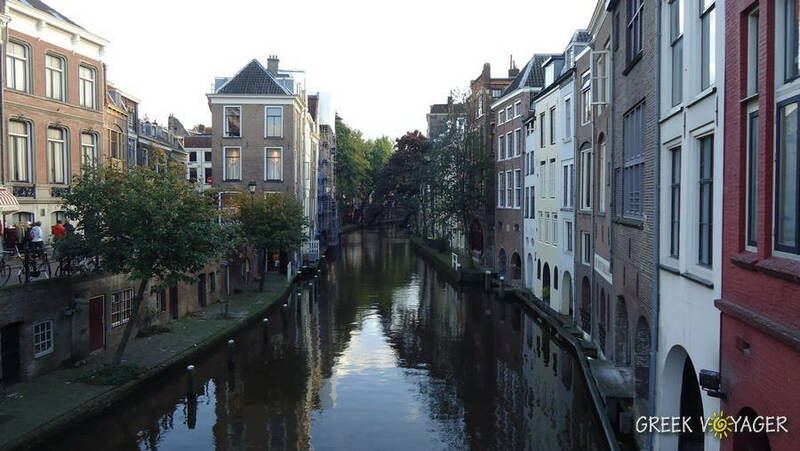 The growing town Utrecht was granted city rights by Henry V in 1122. 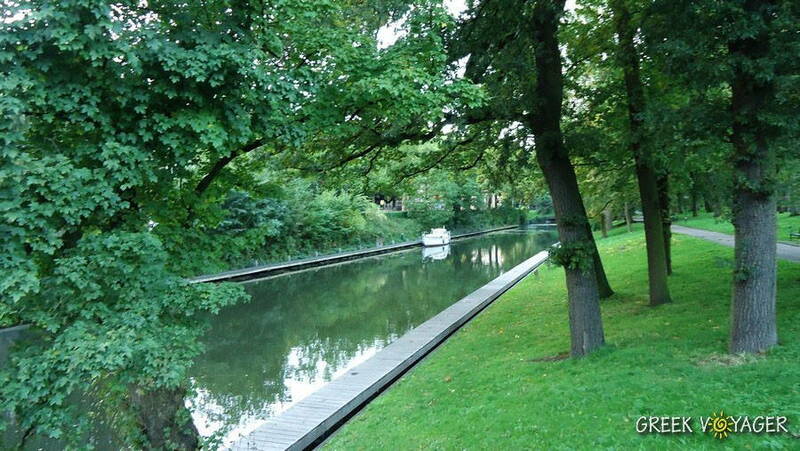 When the main flow of the Rhine moved south, the old bed, which still flowed through the heart of the town became evermore canalized; and a very rare wharf system was built as an inner city harbour system. On the wharfs storage facilities (werfkelders) were built, on top of which the main street, including houses was constructed. The wharfs and the cellars are accessible from a platform at water level with stairs descending from the street level to form a unique structure. In 1528, the secular powers of the bishop over both Neder- and Oversticht – which included the city of Utrecht – were transferred to Charles V, who became the Lord of the Seventeen Provinces. In 1579 the northern seven provinces signed the Union of Utrecht, in which they decided to join forces against Spanish rule. The Union of Utrecht is seen as the beginning of the Dutch Republic. 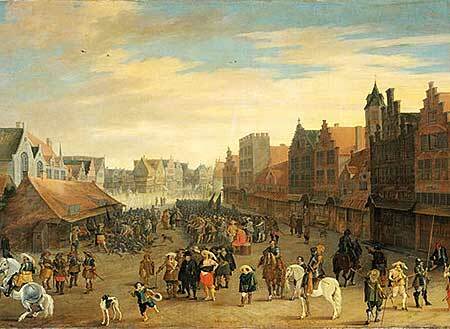 The city, which was held against its will in the states of the Republic, failed to defend itself against the French invasion in 1672. The Treaty of Utrecht in 1713 settled the War of the Spanish Succession. 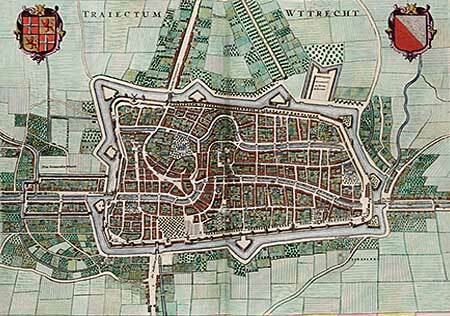 In the early 19th century, the role of Utrecht as a fortified town had become obsolete. With the industrial revolution finally gathering speed in the Netherlands and the ramparts taken down, Utrecht began to grow far beyond the medieval center. 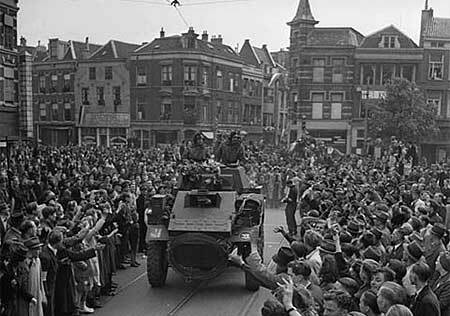 During World War II, Utrecht was held by the Germans until the general German surrender of the Netherlands on 5 May 1945. Canadian troops that surrounded the city entered it after that surrender, on 7 May 1945.
the medieval city is small enough to explore on foot. On the main canal, you can find outdoor cafés and restaurants near the side, to relax and enjoy your stay in Utrecht. Utrecht Central Station is due to get the world’s largest bike shed housing some 12,500 bicycles.